Hitch Ball 1+7/8”, Shank Diameter 1.115” x 2+1/4” Shank Length, 12,000# M.G.T.W. 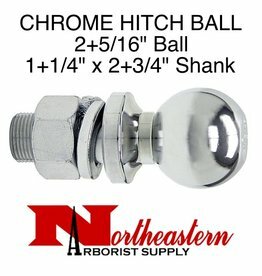 Bandit® Parts Ball 1+7/8”, Replacement, Shank Diameter 1.115” x 2+1/4” Shank Length, 12,000# M.G.T.W. Ball 1+7/8”, Replacement, Shank Diameter 1” x 2+1/8” Shank Length, 5,000# M.G.T.W. Ball 1+7/8”, Replacement, Shank Diameter 3/4” x 2+1/8” Shank Length, 3,500# M.G.T.W. Ball 2+5/16”, Replacement, Shank Diameter 1+1/4”” x 2+3/4” Shank Length, 10,000# M.G.T.W. Hitch Ball 2+5/16”, Shank Diameter 1.115” x 2+1/4” Shank Length, 12,000# M.G.T.W. Bandit® Parts Ball 2+5/16”, Replacement, Shank Diameter 1.115” x 2+1/4” Shank Length, 12,000# M.G.T.W. Ball 2+5/16”, Replacement, Shank Diameter 1” x 2+1/8” Shank Length, 7,500# M.G.T.W. Hitch Ball 2”, Shank Diameter 1.115” x 2+1/4” Shank Length, 12,000# M.G.T.W. Bandit® Parts Ball 2”, Replacement, Shank Diameter 1.115” x 2+1/4” Shank Length, 12,000# M.G.T.W. Hitch Ball 2”, Shank Diameter 1” x 2+1/8” Shank Length 5,000# M.G.T.W. Bandit® Parts Ball 2”, Replacement, Shank Diameter 1” x 2+1/8” Shank Length 5,000# M.G.T.W. Ball 2”, Replacement, Shank Diameter 1” x 2+1/8” Shank Length 5,000# M.G.T.W. Ball 2”, Replacement, Shank Diameter 1” x 2+3/4” Shank Length, 10,000# M.G.T.W. 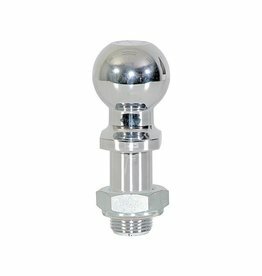 Bandit® Parts Ball 2”, Replacement, Shank Diameter 1” x 2+3/4” Shank Length, 10,000# M.G.T.W. Ball 2”, Replacement, Shank Diameter 3/4” x 2+1/8” Shank Length, 3,500# M.G.T.W. 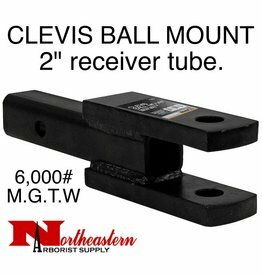 CLEVIS/BALL MOUNT, 2" receiver, 1" Holes, 6,000# M.G.T.W. Bandit® Parts CLEVIS/BALL MOUNT, 2" receiver, 1" Holes, 6,000# M.G.T.W.